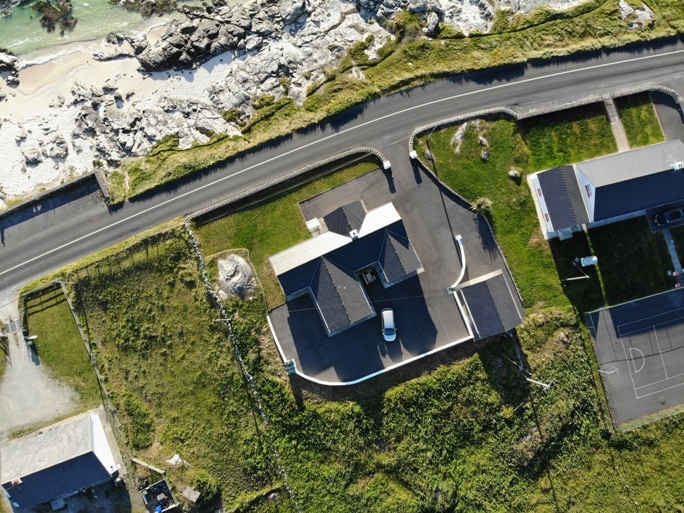 Coral Strand Lodge has maximized the natural light and stunning views of the Atlantic Ocean, this beachside holiday home boasts 3 spacious double bedrooms (2 en-suite). 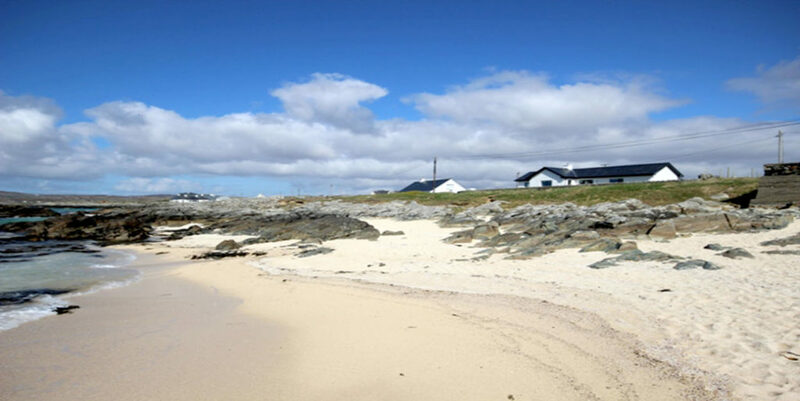 The Coral Strand beach is directly opposite the house, offering great adventurous water activities or one could set up a BBQ on the beach in the evening, after a fun filled day and enjoy watching the sun set. 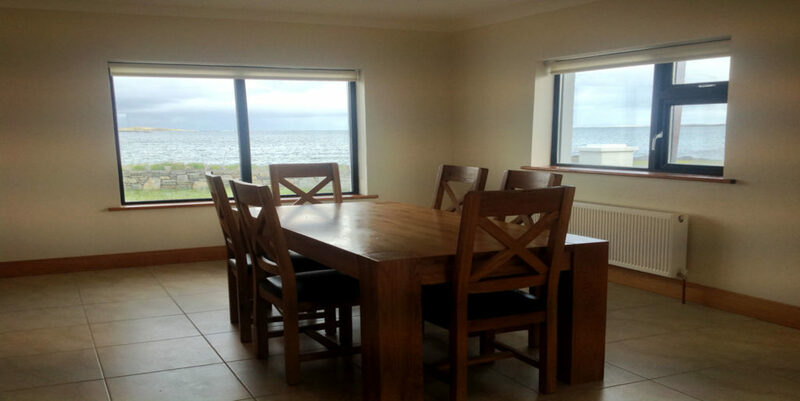 Coral Strand Lodge has maximized the natural light and stunning views of the Atlantic Ocean, this beachside holiday home boasts 3 spacious double bedrooms (2 ensuite). 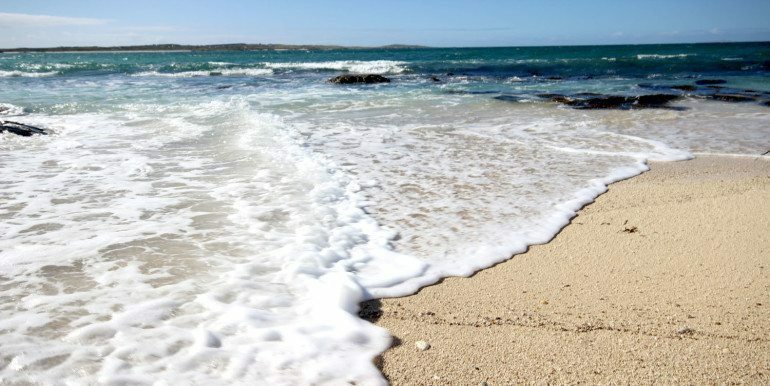 The Coral Strand beach is directly opposite the house, offering great adventurous water activities or one could set up a BBQ on the beach in the evening, after a fun filled day and enjoy watching the sun set. The sitting-room, dining area, main bedroom and entrance hall has the most superb views of the beach. 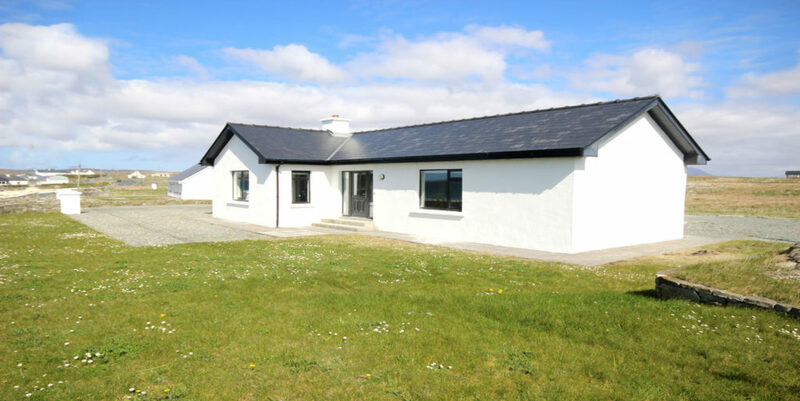 The house is comfortable and a relaxing base from which to explore and appreciate the stunning beautiful natural surroundings of Connemara. 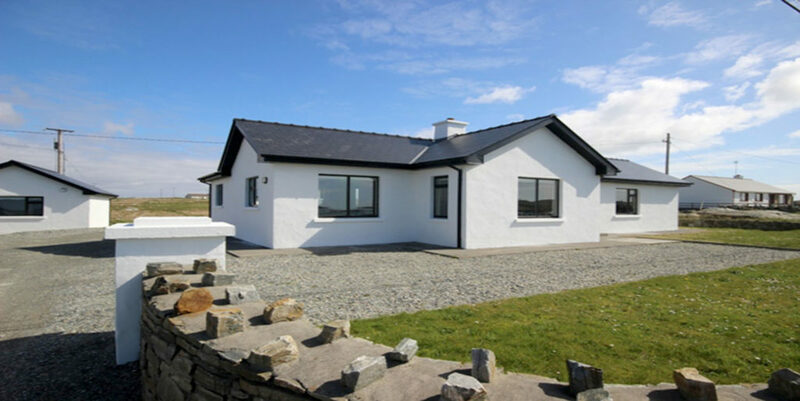 The more active holidaymaker is attracted to this area because of its rich variety of activity pursuits within walking and driving distance, including golf, water sports, horse riding, sightseeing, while visitors wishing to get away from it all can quietly relax and unwind. 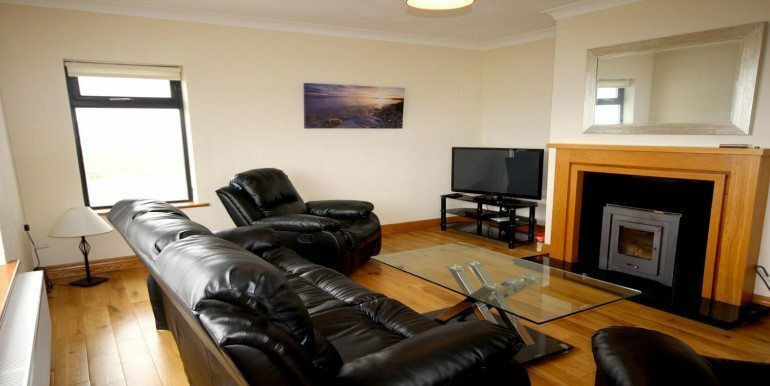 Very spacious and bright hallway, comfy sofa to relax. Utility Room: Washing machine and dryer in this room and is perfect for any wet gear, buggies, etc. Master Bedroom: Very spacious and bright, large picture window overlooking the sea, wardrobe and ensuite shower room. 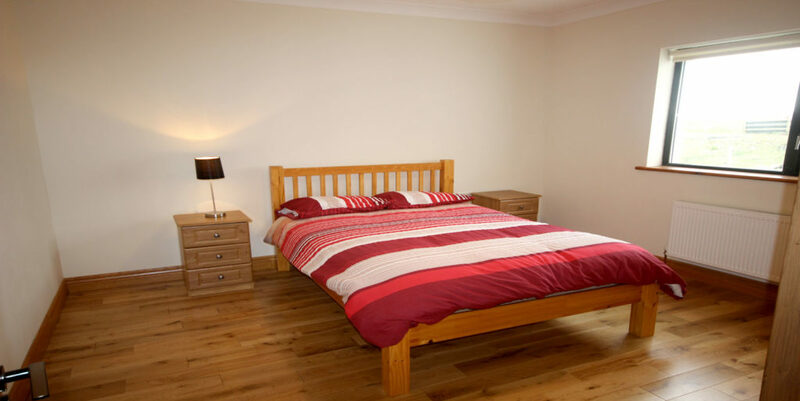 Bedroom 3: Double bedroom with ensuite shower room, wardrobe, window overlooking the back and side of the house. Outside: Large gravelled area with ample parking. 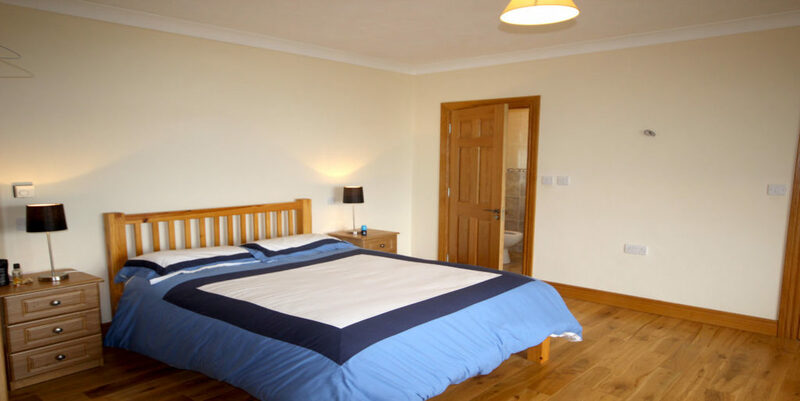 This lodge is situated on the grounds of the owners residence. 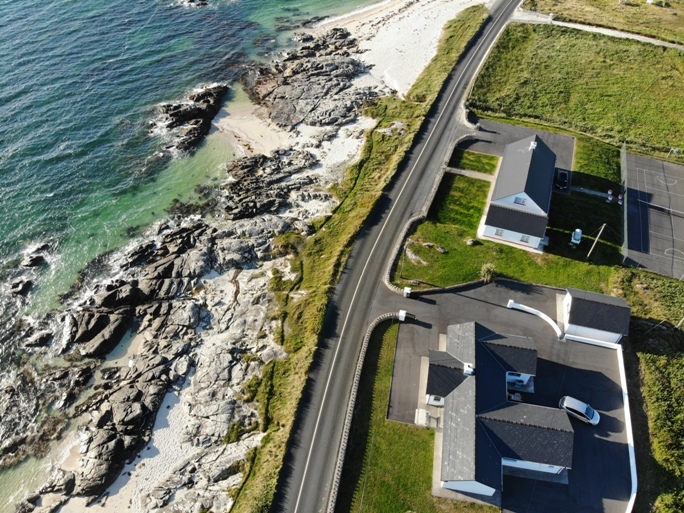 The owners home is to the side of the main holiday home. 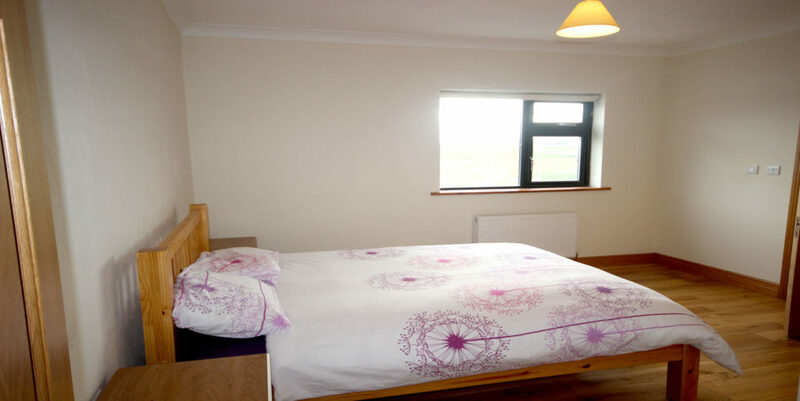 Please note that the holidaymakers will not be disturbed in anyway. 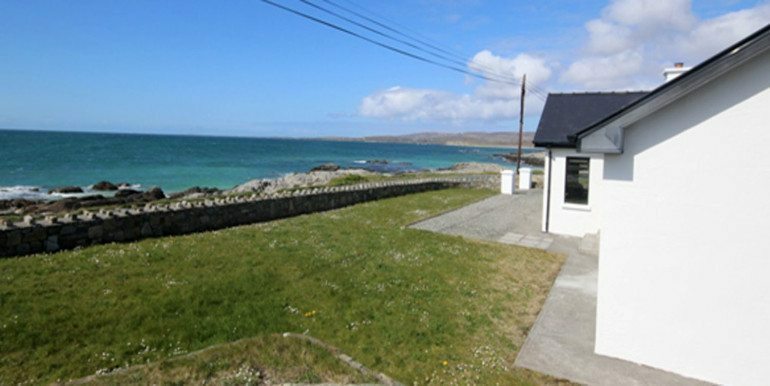 The village of Roundstone lies on the western arm of Bertraghboy bay in Connemara, Co. Galway, 48 miles (77km) north-west of Galway city. 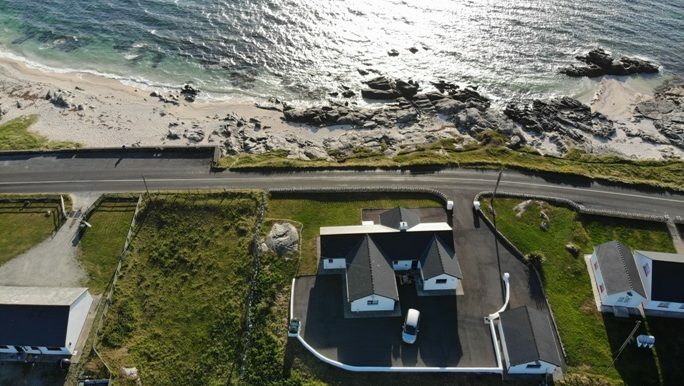 This Connemara village is beautifully set on one of the most spectacular coastal drives in Ireland overlooking the Atlantic at the foot of Errisbeg Mountain. What about afternoon lunch in this pretty fishing village and afterwards let the kids enjoy some time on the Monkey Bars in the Village playground? The village has an ample amount of excellent bars and restaurants. It has a traditional craft centre; selling locally produced handmade pottery, jewellery and instruments! 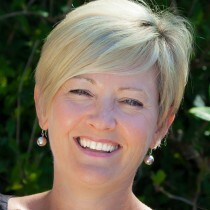 Be sure to check out Yvonne Kings Studio and the Stable Gallery which features contemporary art. Your one stop shop for unique gifts to bring home! Roundstone is teeming with festivals and events during the summer months, such as the local regatta and the pony show; all of which are great family days out! Looking to experience some traditional Irish music? Irish nights take place in the upper community hall, every Wednesday at 8:30pm, all ages welcome! Starting the beginning of June; there will be a local market in the village with stalls selling fresh local produce and crafts. Well worth a visit. There are also fishing trips suitable for all the family! Catch and cook your own dinner!! Don’t have great sea legs? Take a trip down to the pier. Local fishermen are well known for selling their fresh catch at the end of the day! Gurteen is the larger of the two and the closer to Roundstone. The water is crystal clear and it is very safe for swimming and other water based activities. 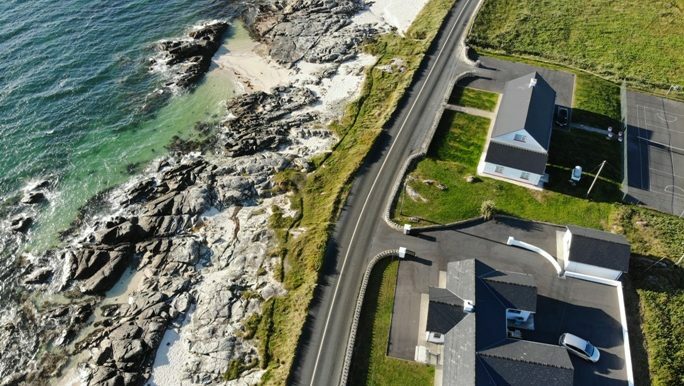 It is naturally protected by the headland which it faces to the South and it is a popular destination for holiday makers in the summertime. Dog’s Bay (or Port na Fadoige in Irish meaning Bay of Plovers) faces due west. It is famous for its mineral sands which are made of millions of microscopic shells. It is a stunning beach with its bright white sands and crystal blue water. 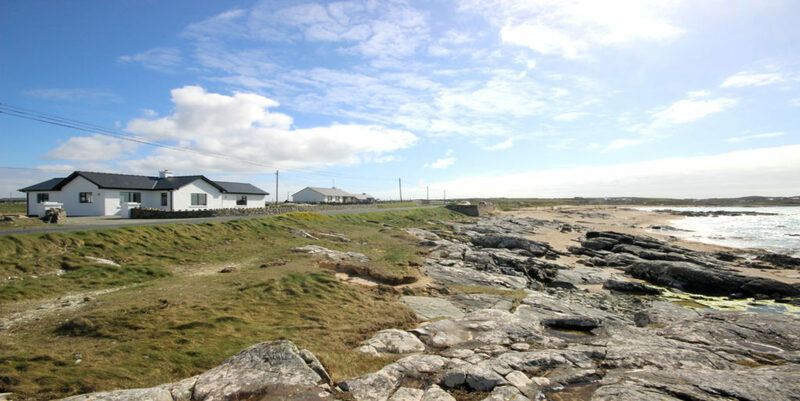 Since 1991 the dunes separating Gurteen Beach from Dog’s Bay have been the focus of intensive efforts to plant Mar ram Grass to stem coastal erosion. Visitors are requested to respect the signs restricting access to the dunes. 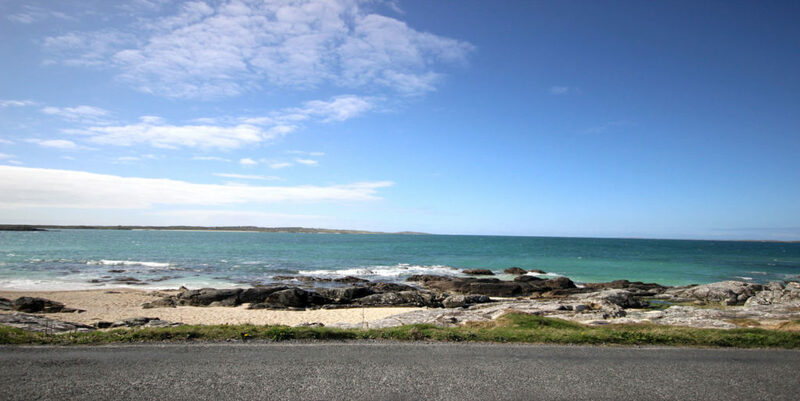 The wild headland which stretches out into the Atlantic between the two beaches is an area of great beauty and is a fantastic walk where you will be surrounded by water on three sides. For avid golfers, Ballyconneely is home to the Connemara Championship Golf Course. This Eddie Hackett designed course is set in stunning, rugged countryside. The back nine has been described as the equal of any in the world. 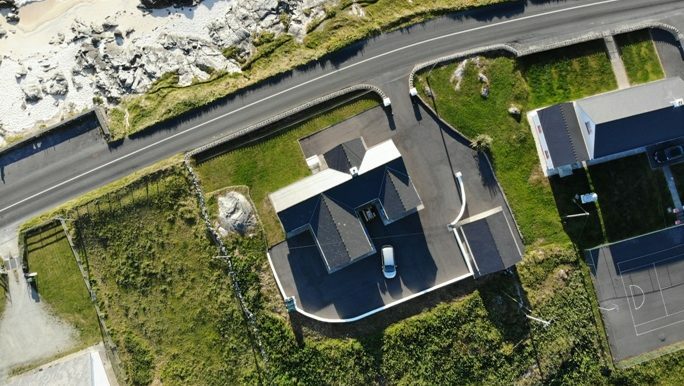 Situated in Aillebrack, Ballyconneely overlooking the Atlantic Ocean it offers 360 degree views of the Golf Course and the unique Connemara landscape. This is a wonderful place to stop off and enjoy lunch or dinner after a round of golf or a walk on the surrounding beaches. Dun Loughin surfing beach is close by to this course. The Point Pony trekking centre will ensure a fun family day out on one of their pony treks. 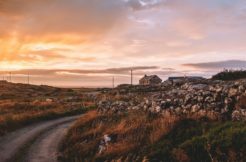 A unique Connemara experience! Take a tour of the Connemara Smoke House and watch how the salmon it traditionally prepared for smoking and enjoy a tasting of their delicious smoked salmon! Tours operate every Wednesday during the summer months at 3pm! 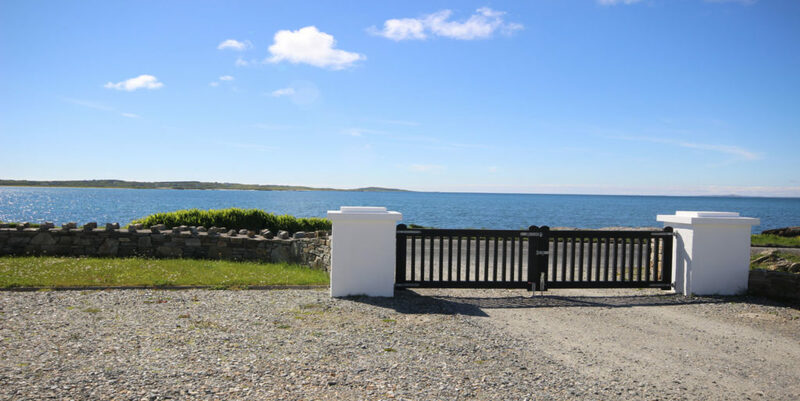 Alcock and Brown landed their first ever transatlantic flight on the very same spot in 1919. 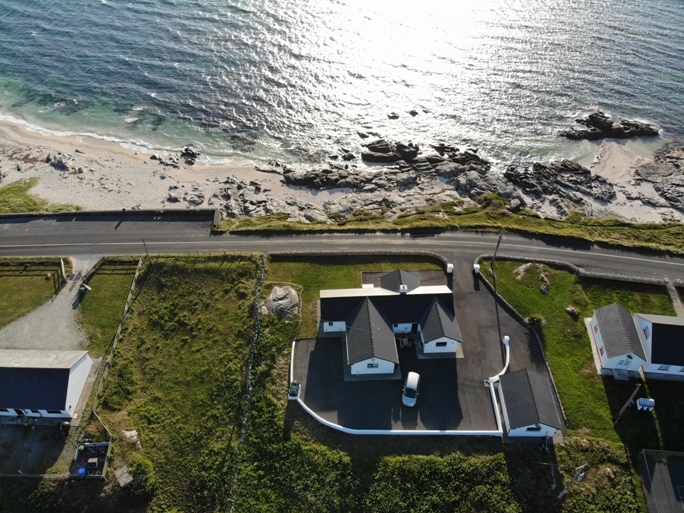 There’s no end of sea fishing opportunities in Connemara, especially in Ballyconneely so you can test your angling prowess! And with plentiful fish stocks it’s no wonder anglers flock here all year round. Popular spots for anglers include the harbour at Erislannan Point, the sheltered bay at Candoolin (close to the cottage) and Mannin Bay. 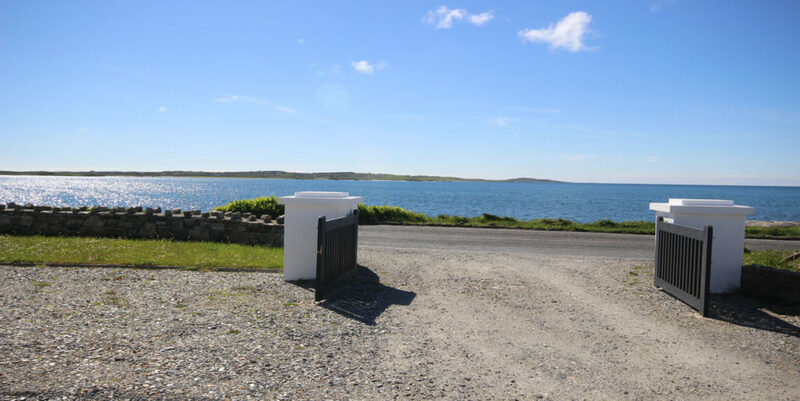 Mannin Bay in particular has good innings for the small boat angler. Plaice is the most popular catch in this area while nearby Ballyconneely Bay has great potential for catching tope, ray, dogfish and Pollack. 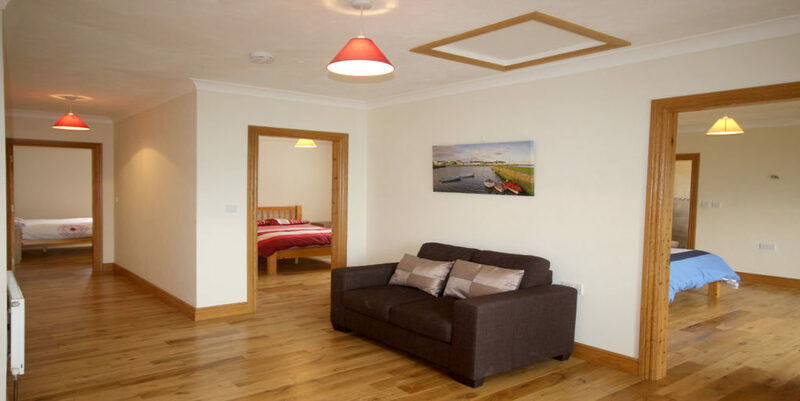 Oil and Electricity is charged at €10 per night. Linen & Towels are inclusive in the rental rate. This property has no WIFI – Wifi Dongle’s can be hired out locally from Keane’s Computer Service Clifden +35385 7779018 / info@keanescomputerservice.ie. 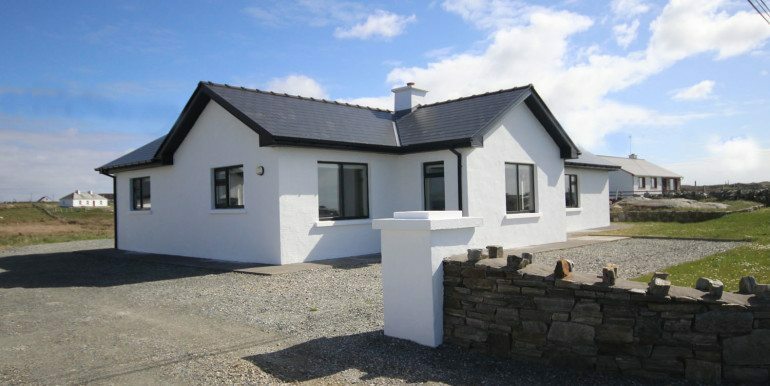 Please quote Connemara Lettings and your booking number to received a discounted rate. Please note that €100 security deposit is required upon arrival. 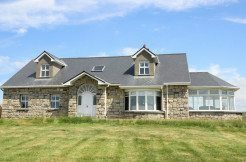 As long as there are no breakages or damage to the property this will be refunded on departure less the cost of utilities. Check-out time is 10am on day of departure. Please note that most restaurants & cafes in the area have free internet access. 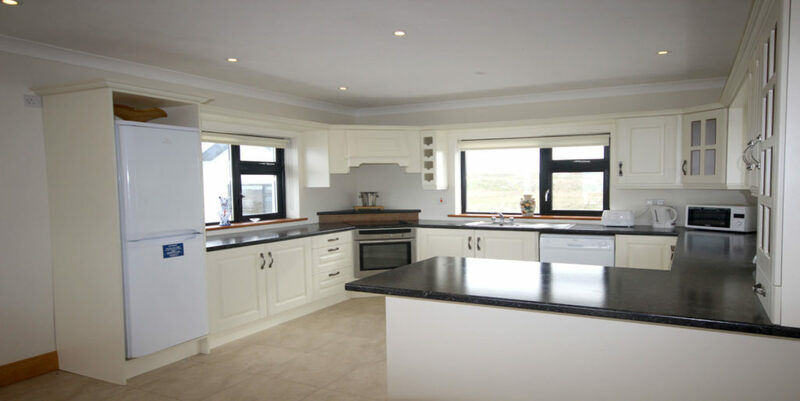 We have personally visited all of these holiday homes therefore we can guarantee they are to an excellent standard. 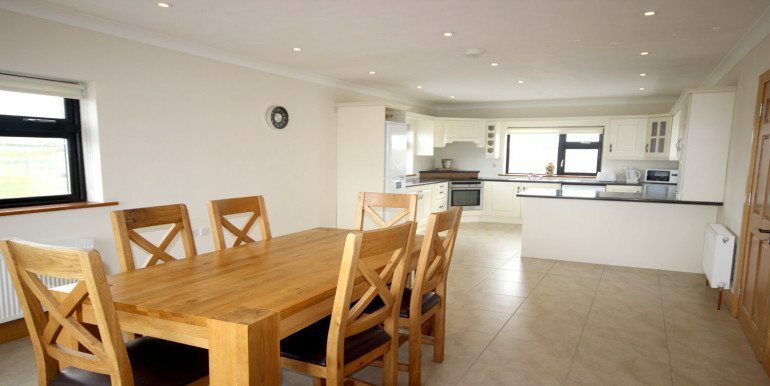 The majority of homes are family friendly and to make your life easier we can supply a high chair and travel cot (upon request). The reviews listed on UpFront Reviews are honest and trustworthy; they are all left by genuine customers who have stayed in the accommodation. 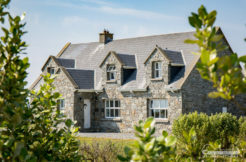 95% of guests recommend Connemara Holiday Lettings from 466 reviews. Copyright © 2017 Capolla Hill Limited. All Rights Reserved.